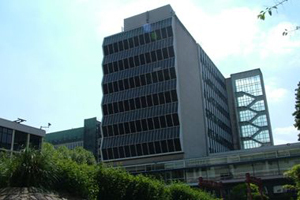 Manchester has bolstered its reputation as an international conference destination with the city climbing seven places above its 2010 position, in ICCA's 2011 world rankings. Manchester has moved up seven places into 79th position in the global city rankings and 41st place in the European rankings, also up seven places compared to 2010. The city also maintained its 4th place position within the UK. "To be ranked within the top 100 cities is a huge honour and an excellent achievement for the city, proving that we are a serious player in the area of conference and business tourism," said Paul Simpson, managing director of Visit Manchester. Amongst the hundreds of conference held in Manchester 26 were ICCA approved - an increase of five meetings on 2010 , representing a 24% growth). These included The International Chromosome Conference at University of Manchester, 14th European Microwave Conference at Manchester Central and International Symposium on Dynamics of Vehicles on Roads & Tracks at Manchester Metropolitan University.